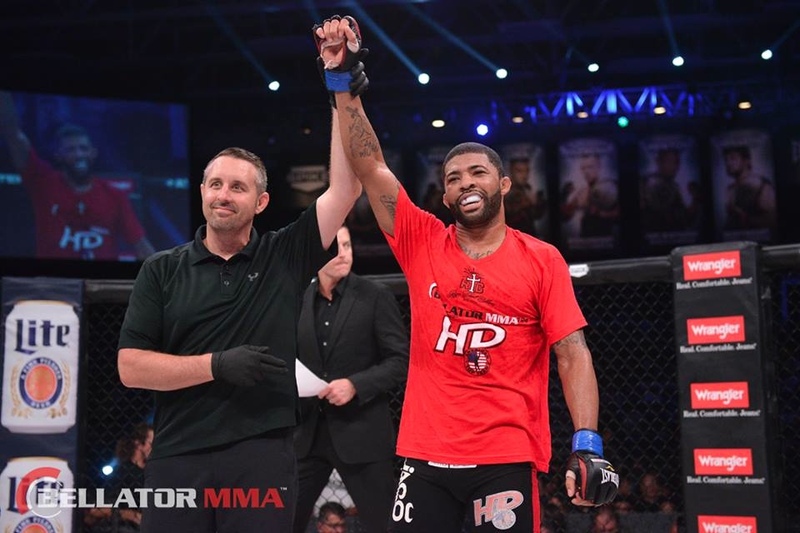 ATTHD owner and head instructor LC Davis has signed a bout agreement to face Hideo Tokoro at Bellator 135 on Friday, March 27, 2015, at the Winstar World Casino and Resort in Thackerville, Oklahoma. Tokoro is a veteran of Dream and K-1, with a 32-27 record. Davis, a veteran of IFL, Affliction and WEC, has been on a win streak since joining the Bellator promotion, most recently defeating Zeilton Rodrigues via unanimous decision in September. He now holds an impressive 22-6 record (2-0 in Bellator). “I’m excited for the opportunity Bellator has given me to showcase my talents on a World Stage! I’m excited to move to 3-0 in the organization and get one step closer to that Strap!” Davis said upon confirmation of the bout. We will be hosting an ATTHD Watch Party for Bellator 135 at Saint’s Pub & Patio in Lenexa at 97th & Quivira. Want to make the trip to OK to support LC? GET TICKETS HERE. Check out a great interview with LC about Fighting, Family, Training and being an Undefeated Bantamweight HERE.